My name is Muhammad Arshad Chaudhry S/O Khushi Muhammad. I was born in Bahawalnagar on 20-11-1949. I completed my education at B.Sc level from Govt. College Bahawalnagar during 1968. I did B.Sc Engg. from UET Lahore in 1979 and joined service at Heavy Foundry and Forge, Taxila District Rawalpindi (Under Ministry of Industries / Production, Government of Pakistan). I did M.Sc Engg. from UET Lahore in 1992. I further passed MBA (Finance) from AIOU Islamabad in 1996. I left service under Voluntary Separation Scheme (VSS) in 1997 having 18 years versatile working experience at Heavy Mechanical Complex (HMC), Taxila. I served in different industries as Area Manager, Marketing & Sales, Marketing Manager and General Manager till April 2002. I was appointed as District Manager TEVTA (Govt. of The Punjab) during May 2002 with full responsibility of District Sahiwal, Pakpatan, Bahawalnagar, Okara and Kasur uptill November, 2009. I did MBA Textile from National Textile College, Faisalabad during 2005. I was awarded Quaid-e-Azam Gold Medal on best performance during 2005. 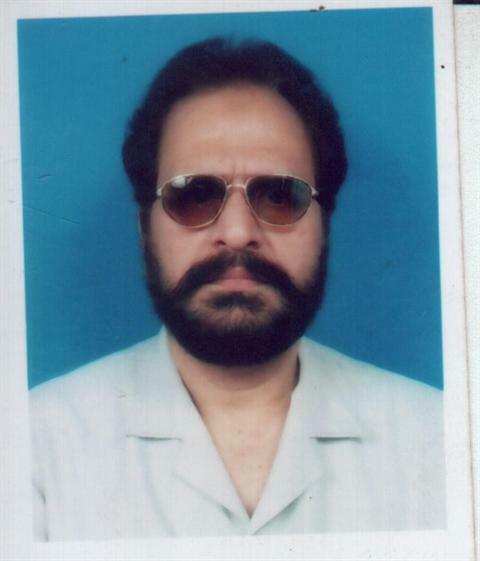 I joined service as Lecturer at The University of Lahore during January, 2010. I was assigned responsibility as Head, Industrial Relations & Training Division during 2010. I was promoted as Assistant Professor during October, 2012 and has been performing the task by achieving the targets till date to the entire satisfaction of the University Management. I have also been studying as Ph.D Engg. (Scholar) at UET, Lahore. It has been in active progress and will hopefully be completed by 2018. 1 23-03-2005 Technical Education & Vocational Training Authority (TEVTA) Govt. of The Punjab Award of Quaid-e-Azam Gold Medal on best performance.